1. Making an attack: The offensive troops gained ground quickly. 2. Of, relating to, or designed for attack: offensive weapons. 4. (fn-) Sports. Of or relating to a team having possession of a ball or puck: the offensive line. 1. An attitude or position of attack: go on the offensive in chess. 2. An attack or assault: led a massive military offensive. hi, my name is varis. i'm 24 years old, drive a volkswagen beetle, and live in maine. i am super into video games, some anime, and some tv, although i've reeled back quite a bit on the new fandoms lately. my main thing is probably resident evil, and left 4 dead. i am currently attending school for my general education, and plan to transfer to a communication school for radio broadcasting. i also work full-time, and role-play whenever i'm not hanging out with my irl friends. 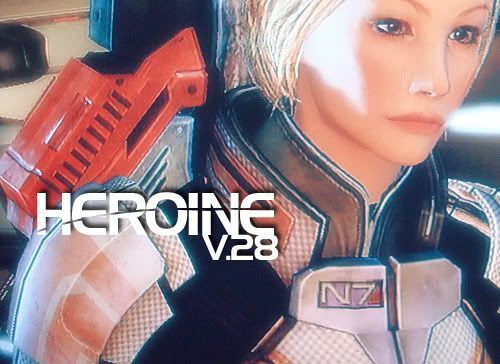 current journal layout features my commander shepard from mass effect. this is the 28th layout this journal has had.